The Audi Allroad - specifically the 2004 Audi Allroad - was the only car in the world that carried the name “Audi Allroad” in 2004. No other car came close. If you ask yourself “How much information can one video pack in 60 seconds?” the answer is likely what happens when you try to pack a pastry with five times as much filling as it needs. You’re left with a strangely satisfying mess. Today I took it upon myself to give my readers and viewers a look into what’s really important when driving this shining beacon of flagship German precision. Accept no substitutes. 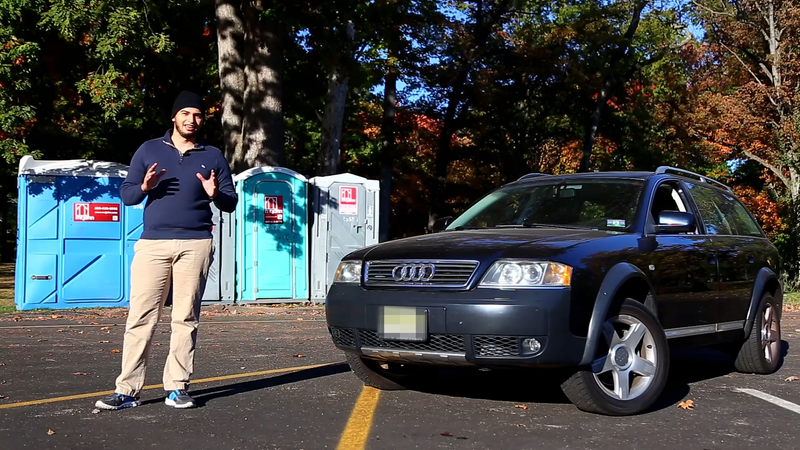 Tavarish is the founder of APiDA Online and writes and makes videos about buying and selling cool cars on the internet. He owns the world’s cheapest Mercedes S-Class, a graffiti-bombed Lexus, and he’s the only Jalopnik author that has never driven a Miata.